If the title wasn’t signal enough, the opening poem of this collection warns us that what will follow is a litany of loss, an attempt to understand is becoming was, a wrestling with the realization that every moment we’re alive, we’re one moment closer to death. And it’s true: these poems speak of dying friends, lost opportunities, the grim exhalation that is a last breath. But over the course of the book, we cycle back to realizing the wonderful gift that is each breath, that is the movement between light and darkness. It’s a memorable book. Our journeys through life consist of rushing from moment to moment, often missing the minuscule transitions from is to was. Cynthia Trenshaw’s poetry gifts us with suspension in those transitions as she dives into their colors and feels them stroke naked skin. We wonder at death’s “sleight of hand.” We hesitate on the lip of the ant lion’s tranquil sandy trap and then fall into transformation. Reading Trenshaw’s work takes us to the world between inhale and exhale and changes our mortal lives in magical ways. 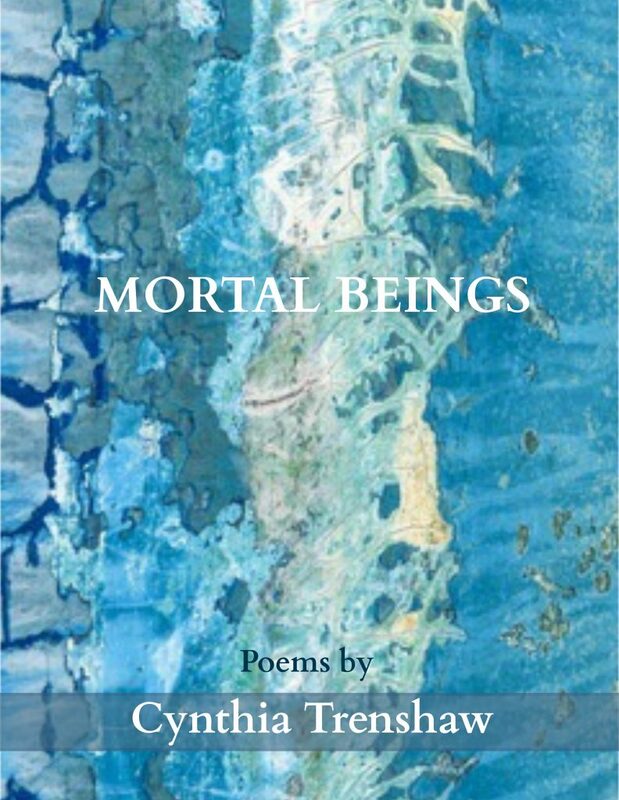 A mystic for modern times, Cynthia Trenshaw offers us poems, unflinching and tender, that evoke the liminal spaces between life and death, seen and ignored, spoken and unspoken. Trenshaw helps us see what connects: breath, blood, earth, memory. Here in the intimate fringes of existence, barriers dissolve and death is an old acquaintance. Deeply observant and keenly felt, these poems confide that in the same moment, one can dwell in both contentment and sorrow. Cynthia Trenshaw is a poet rejoicing in the uniqueness of the ordinary. In this volume, her gritty melodies communicate the richness of birth and death, transience and permanence, and, finally, profound and loving acceptance. Readers are always deeply enriched by the clarity of Trenshaw’s visions. She writes with what I consider a hallmark of great poetry: the ending that focuses, refocuses, awakens, and invites. Cynthia Trenshaw’s poems are like listening to jazz whose modulations reach surprising corners of language and a wide sweep of experience that will have you looking forward to the next territory she courageously enters to use her craft. You will not be bored, rather lifted into a kaleidoscope of lyrical experience that you will recognize as deeply human with a great heart for the times we live in.